In January of 2005 I started my first Meetup called Indy Game Dev. One person joined and together we started to code a game. I didn’t know how to code a game. I had just graduated college with some Computer Science classes where I had to make a few small games in Visual Basic.NET, but I didn’t really know how to make a game. We started out meeting once a month, and then weekly at his house in Noblesville. He didn’t even have his own computer so we had to use the computer in his mother’s bedroom. 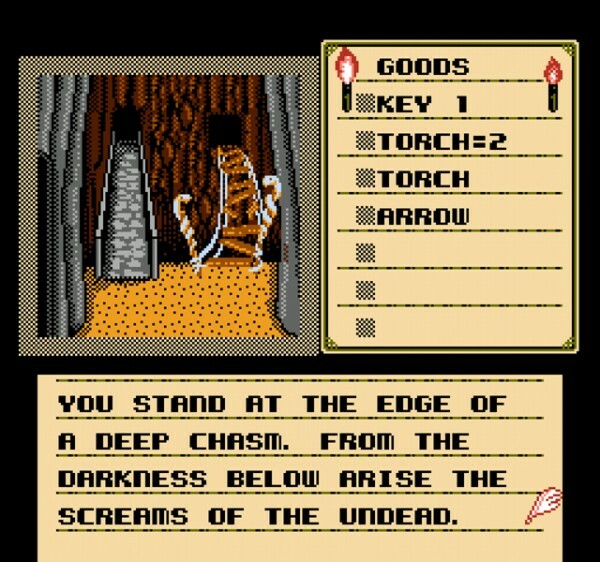 I researched gaming engines and different programming languages, but we ended up going with a type of game similar to the NES game, Shadowgate. We had agendas and a group logo. We created the first screen in the game and started working on the story line, but then that’s when things started to fall apart. In April of 2005, Meetup began charging group owners a fee for hosting a group and the bottom sort of fell out as far as my desire to make games. What I realized is that I didn’t want to make games, I wanted to learn how to make games. Once I did that, my interest level was gone. My partner continued the group and the game for a while after I left, but I didn’t really start going to Meetups again until three years later in 2008. I worked full time for the last two years I was in college and then immediately after helped a friend start a computer repair business on the side while continuing to work full time. It was during this time that I started going to Meetups, but I didn’t start going again until I left that job I had through college, started my own business, and got a new job in IT in October of 2007. This is when having a day job and going to meetups felt like I was living a double life. During the day I was a computer technician for an IT company and by night I was a web designer wanting to learn more about Adobe products or PHP. Through web design and SEO work, I was introduced to the world of affiliate marketing and started making money that way too. Eventually my web design customers started using me more for their technical needs and I began acting as their outsourced IT firm, or simply, their “computer guy.” Eight months after doing IT full time, I became a business analyst at a mid-sized, regional bank. By August of 2011 I was making enough from all of my side ventures to go at it alone so I quit my day job and went full time on my own. That’s when I really started to take advantage of meetups. When I worked for other companies I was around other people all day long. We had meetings. I sometimes got to go places on the company’s dime. Some of these times were good. Most of them were not noteworthy. However, once they were gone, I started to miss that in my life. Sure, I met with clients occasionally, but for the most part I stayed in my office at home. While my family is a joy to me, there is a certain need to go beyond that and meetups can help with that. 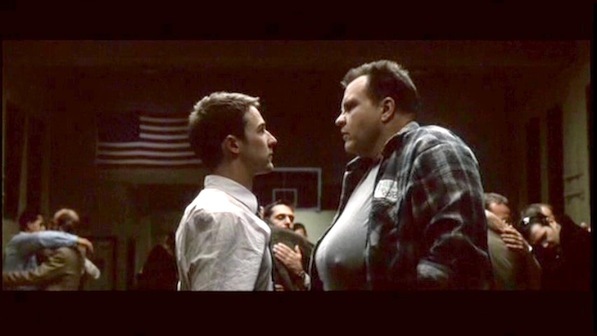 I wouldn’t go as far as to say I’m lonely, but there is a certain amount of Edward Norton’s Narrator that goes through my head when I visit a group for the first time. What consistently meeting new people does to you is to help define who you are. This is partly because of the amount of times you have to explain who you are and what you do to new people, but also because simply by going to a particular group, you are associating yourself with that type of person. I’m currently a member of 16 meetups: Affiliate Freelancers Indianapolis, Affiliate Summit Indianapolis Meetup, AgileIndy, Central Indiana Entrepreneur’s & Vendors, Coaches, Consultants, Authors, Speakers & internet marketers, Esri Dev Meet Up Group – Great Plains, Geeks with Swag, Indiana Small Business Networking, Indianapolis Lean Startup Circle, Indianapolis Marketing Group, Indianapolis Search Engine Optimization & Internet Marketing, Indy Cowork, IndyDevHouse, TechLunch, Verge, and the WordPress – Indianapolis Meetup Group. I recently spoke at the affiliate marketing group, which gives me credibility with the speakers group, even though I already am a consultant. While I have been encouraged to get my masters and have gone back to school for Microsoft, A+, and Network+ certifications, meetups allow a different type of continued education in a wider array of fields. They are also the fields you’re most interested in learning about, or else you probably wouldn’t have signed up or gone to the meeting. Even though I’m profitable with affiliate marketing I still learn things from my affiliate marketing group, but a better example may be the Agile Indy group I attended last night. I had no idea what Agile was, but I kept hearing it and seeing it so I wanted to find out more about it. I wanted to learn. I can’t say I’ve gone to a traditional classroom much with that mentality. If you’re interested in what Agile is, review the Agile Manifesto or visit David Christiansen’s blog, Technology Dark Side. Speaking of affiliate marketing, David makes $2000 a year from advertising Rally Software on his blog. Rally sponsored last night’s meal, which brings me to my next reason. Most meetups either serve food or meet at a restaurant where there is an opportunity to eat food. If you enjoy breaking bread with your fellow man around a topic you love, what better place than at a meetup. The early Christian church would call this their communion time, while the modern church might call it “small groups”. What are meetups, if not small groups of people, passionate about a topic? One exception to “small” may be Verge Indy, which currently has 1,280 members and regularly has to limit members to their events at Developer Town. Most meetups who serve food serve pizza and most of the time it’s free, but there’s no such thing as a free lunch so be prepared for the corporate sponsor to pitch their goods to you. Don’t worry if you’re not interested, maybe one day you will be. Maybe one day you’ll be the sponsor. You probably can’t just walk into Miles Design or Allegient‘s offices, but that’s exactly what I did when I attened Joomla Indy and Agile Indy, respectively. While Joomla Indy isn’t an official meetup, it still meets regularly, in-person, around a topic, which is what meetups are all about. Tonight I’ll be attending the Lean Startup at Green is Good off 86th and Zionsville Road and the Esri meetup at Harry and Izzy’s on Illinois Street, downtown Indianapolis. When I was a business analyst I got to visit the Greater Indianapolis Chamber of Commerce’s board room once, now I’m visiting new board rooms every month. If you’ve ever been told that you need to get out of comfort zone to grow, meetups are a great way to do that. Most of the people at the meetup I attend, I don’t know before attending. In fact, it’s actually rare for me to know someone there at all. However, once I’ve gone once, I do at least recognize them and can start to get to know them. Networking is a natural result of getting to know other people and meeting new people. Sometimes business cards are passed around and sometimes they are not. Meetups that are specifically setup to network don’t seem to be as popular as ones that are setup around a specific topic. What makes Verge so popular is that it brings together inventors, startups, and venture capitalists with those interested and willing to help. The energy there is intense and the barriers to entry are low. There is no fee for most events, food is provided, and those attending get the chance to pitch and network with others. It’s a great mix.